Dear Margaret Mitchell: We all remember you as the celebrated Pulitzer Prize author of “Gone With The Wind,” the epic novel about the Civil War and Reconstruction but you were a woman determined to succeed in a place that most women of your time would never had considered entering. Your public life revolved around your life as a novelist, but your role as a benefactor only surfaced years after your demise and revealed your extraordinary involvement with Atlanta’s African American community. As expected of any Jazz Age debutant flapper, Margaret Mitchell was no wall flower and joined the newest dances introduced to Atlanta’s younger set. However, as a result of her concerns about Black Atlanta she was ostracized from the Junior League. Margaret Mitchell’s involvement with the African American community began when she was a 19-year-old debutante. She was working on several projects with Atlanta's Black community and being a proper Junior Leaguer, whose mission was community service; Margaret chose to work in the city’s Black clinics. It was a remarkable move considering that it was a time when segregation was the law of the land and the Ku Klux Klan regularly held rallies. Obviously her work with the Black clinic was the reason that she was rejected from the conservative Junior League. Margaret Mitchell’s exposure to the black community no doubt also sharpened her sensitivities about old Atlanta and the battles the Confederate Army fought there. She grew up listening to stories of the Civil War that she heard first from her parents and great aunts and later from Confederate veterans who regaled the girl with battlefield stories. Such a background fueled her imagination as did the fact that the ancestry of the Mitchell family was not unlike the O-Hara’s of Gone with the Wind. Gone With the Wind was published in June 1936 and became an equally famous motion picture starring Vivien Leigh and Clark Gable. With these two successes Margaret Mitchell became an international celebrity and a celebrated Atlanta citizen. It is no doubt this notoriety brought her to the attention of Dr. Benjamin Mays, the new president of the historically black Morehouse College. He may or may not have known about Margaret Mitchell’s former involvement with the Black community, the question is mute; her celebrity had put her in the limelight. In 1941, when he realized that some of his promising students needed funds to put them through school and with fund raising on his mind it appears that Margaret was the first person he approached. She agreed to an anonymous donation of $80, enough at that time to put a student through one year of school. Dr. Mays later wrote Margaret a letter describing the impact her gift had on its young recipient. So moved by this disclosure she made arrangements to make the same contribution on a regular basis. Again, Dr. Mays agreed to keep the scholarship fund a secret, even for many years after her death. Dear Catharine: It is said that more women have backed the founding of museums then men and this truism certainly applies to you, a woman determined to succeed in promoting the role that museums could play in presenting art to the public. Your largesse as a great American philanthropist and art collector is legendary. When the Metropolitan Museum of Art was incorporated in 1870 by a group of businessmen, you were the only woman among the 106 founders. Although you gave large amounts of money to other institutions your most significant gifts were two bequests to the Metropolitan Museum of Art, leaving your large collection of 140 paintings to the museum, along with an endowment for its maintenance. While she was seriously expanding her own collection, Lorillard had a particular interest in living artists. A life-long supporter of Grace church, she also left a substantial bequest to be used for some form of “women’s work”. 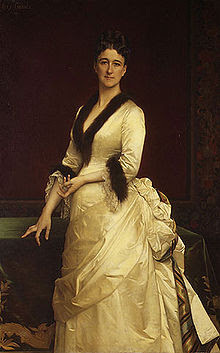 In 1896, a club bearing Catharine Lorillard Wolfe’s name was established by the Rector William Reed Huntington in New York, and Mrs. Newell, wife of the Rector of the Episcopal Church in Paris. The Catharine Lorillard Wolfe Art Club was founded with the mission to promote and advance the artwork of women. Today the mission is the same. Annual juried exhibitions to honor talented women artists are held at the National Arts Club in New York City. From early life Catharine cultivated a fine and discriminating taste for art. Wolfe’s father John David Wolfe was a real-estate developer, who had given labor and money for the advancement of the New York Historical Society, and was one of the founders of the American Museum of Natural History, and its first president. Her mother Dorothea Anne Lorillard was partial inheritor of the Lorillard fortune and Catharine, who had inherited her father’s noble qualities, would continue their philanthropic activities. Catharine was an only child (1828-1887) and her fine mind was broadened by extensive travel in many countries. Catharine Lorillard Wolfe was an outstanding supporter and always had a large number of beneficiaries including the Newsboy’s Lodging House and Industrial School (an outgrowth of Charles Loring Brace’s movement to help care of New York’s homeless children; she financed archaeological missions, including one that unearthed Nippur and she was also involved with the American Museum of Natural History, which her father had helped to found. She gave large amounts of money to institutions such as Grace Episcopal Church and Union College and her generosity attesting to her great philanthropy continued throughout her lifetime. A LIFE WELL LIVED WITH ART AS ITS CORE, PHILANTHROPY, COMPASSION FOR LIVING ARTISTS, THE CATHARINE LORILLARD WOLFE ART CLUB CONTINUES THE TRADITION. WWW.CLWAC.ORG. Dear Clare: Talented, wealthy, beautiful, socialite, a Congresswoman, ambassador and spouse of magazine magnate Henry R. Luce of Time-Life-Fortune, WHEW!, the zeal in which you pursued each one of these careers is nothing short of remarkable, a woman determined to succeed, and indeed you did!!! More astonishing is the fact that you became equally famous in each of the individual careers becoming an icon of woman’s achievement on its highest scale. One of your famous quotes, “Male supremacy had kept women down. It has not knocked her out,” explains in part your remarkable ability to pursue each task vigorously. Although your roles in politics, journalism and diplomacy stand alone as the pinnacle of your diverse careers, many of us know you for the play “The Women”. It’s a legendary satire on the idleness of wealthy wives and divorcees which opened at the Barrymore Theatre in New York City, December 26, 1936. The play may have been received coolly by the critics, but among the public it was immensely popular and ran for 657 performances, toured the United States and 18 countries. While it is true that most of us do not have servants, this tale about women’s leisure pursuits, excesses of living the high life and for whom blowing money on luxury goods is their main pursuit, seems all too apropos to describe the unfulfilled lifestyle of some women of a certain age. Where does inspiration come from? To the creative mind it’s in every situation, but you have to listen. 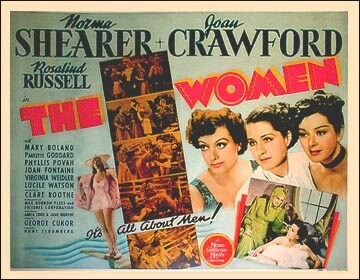 Legend has it that some gossip Clare heard in a nightclub powder room inspired her Broadway hit that was wittily adapted for the screen in M-G-M 1939 film, THE WOMEN. This catty, clever all female film centers on a group of high-society women who spend their days at the beauty salon and haunting fashion shows. 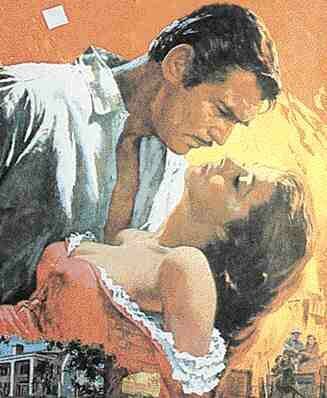 While some critics may say the play/movie is outdated there are similarities in high society today. The pampered Park Avenue princesses include the venomous Crystal Allen (Joan Crawford) who gets her fangs into the husband of sweet, happily wedded May Haines (Norma Shearer) while scandalmonger Sylvia Fowler (Rosalind Russell) lets the cat out of the bag at the beauty salon. Available on DVD, The Women, is really all about men. After a divorce from George Tuttle Brokaw Clare joined the staff of Vogue, as an editorial assistant and later when Clare became associate editor of Vanity Fair she began writing short sketches satirizing New York society called “Stuffed Shirts.” Clare was not only an able editor but an attractive one and she traveled with the cognoscenti in café society and intellectual social circles. She soon met Henry Robinson “Harry Luce, the world renowned publisher, as well as founder of Time magazine and the business periodical Fortune. (He would later found Life magazine and Sports Illustrated). They fell in love, and married in 1935, just one month after Harry divorced his wife of 12 years, with whom he had two sons. Sadly, the union of Harry and Clare, which lasted 32 years, was childless, but Clare did have a daughter Ann Clare Brokaw from her first marriage. The marriage between Clare and Harry was fortuitous as it linked two formidable personalities in journalism, but less familiar is Clare’s wartime journalism. After the beginning of World War II, Clare traveled to Europe as a journalist for Harry’s publication Life magazine and wrote a vivid account of her four-month visit in her first non-fiction book, Europe in the Spring (1940). Documenting her observations she attributed the war in part to “a world where men have decided to die together because they are unable to find a way to live together.” She and Harry toured China and reported to Life the status of the country and interviewed high ranking generals as well as world leaders including Chiang Kai-Shek and Jawaharlal Nehru. However, Clare considered her war reportage as ‘time off’ from her true vocation as a playwright. In 1947, after her House term expired, Clare wrote a series of articles describing her conversion to Catholicism, which were published in McCall’s. This inspiration stemmed from the death of her daughter Ann, a nineteen-year-old senior at Stanford University, who was killed in an automobile accident. Overwhelmed by this tragedy Clare had gone into a depression and did not want to run for reelection to the House stating she wanted to return to writing. In 1964 she and Harry, who had retired as editor-in-chief of Time would spend most of the next few years at their vacation home in Phoenix, Arizona. In 1981, Clare came into the limelight again when President Ronald Reagan appointed Clare to the President’s Foreign Intelligence Advisory Board, on which she served until 1983. Clare Boothe Luce's life was chiseled like a brilliant diamond, she had however lived a multifaceted life with equal fame and accomplishment in each facet. Sadly, Clare Boothe Luce died of a brain tumor at the age of 84.